In this post we have added 30 bad logo design examples for your inspiration. Logos are all around us. To the general public they serve as an instant reminder of a company or a product to the client they’re the point of recognition on which their brand hangs and to us designers they represent the challenge of incorporating our clients’ ideologies into one single graphic. 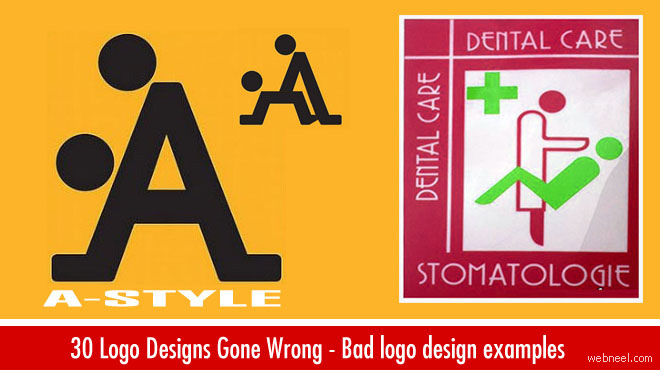 Be careful while designing logo for a company and avoid these mistakes. The Computer Doctors - Failed Logo Design This logo wouldn’t be so bad if only the mouse didn’t look so much like a… well, just view the photo and pass your own judgment. Use fonts carefully or you may regret the results.